(1) New York City devotes fewer resources to violating the civil rights of its young black and brown residents these days. But since taking this “soft” stance, the city has seen its rates of homicide and violent crime remain near record lows. (2) Sanctuary cities tend to be safer than those with draconian policies toward the undocumented. (3) The fact that the DOJ announced its new measure in the tone of a Breitbart post is a tip-off that this whole thing is less about policy than it is about theater. President Trump did sign an executive order, early in his presidency, that made noises about defunding sanctuary cities. 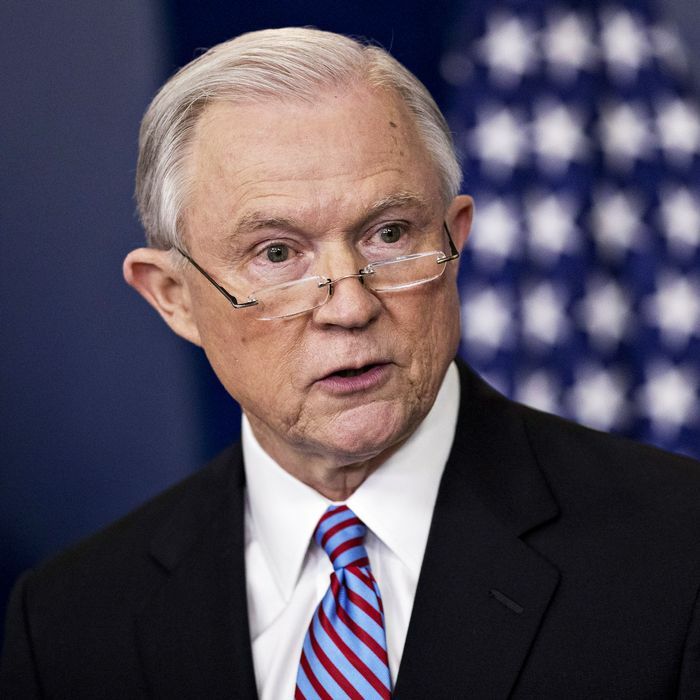 But so far, the only action the Justice Department has taken on that front has been to threaten to deny grants to the small subset of “sanctuary” jurisdictions that bar individual police officers from sharing information about the immigration status of prisoners in their custody. That policy was put in place by the Obama administration last year. Jeff Sessions’s DOJ has merely given such jurisdictions a hard deadline for compliance. New York City could probably afford to flout the rule, if it wished to. The city received all of $4.3 million in Justice Department grants in 2016.